Born Ryan Allen Reeves, he is a professional wrestler who became a WWE competitor after finishing in the top eight on WWE Tough Enough 4 in 2004. He's known for such signature moves as the boulder holder as well as his finishing move, a cradle suplex lift which he titled shell shocked. When he was 12 years old, he was the guest bell ringer at a WWF event. He was also a star baseball and football player at Western High School and Palo Verde High School in Nevada. In 2010, he competed in the first season of NXT, a development branch for WWE, under the ring name Skip Sheffield. He was born in Las Vegas, Nevada and grew up with a sister. 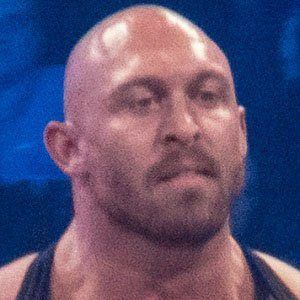 In 2013, he formed a partnership with promoter Paul Heyman, but the relationship was short-lived as Heyman verbally abused Ryback on an episode of Raw a few months after they joined forces.